A home should be your sanctuary; a place where you feel safe, relax and happy. For individual houses that are not a part of a neighbourhood, the tenants are in charge of their own home’s security matters. They decide who to invite and whom they don’t want to let in. However, for a residential neighbourhood, other people’s visitors can play a part in bringing trouble into your peaceful environment. Lack of security control over managing a neighborhood’s incoming and outgoing visitors can potentially leave loopholes for unwelcomed shady characters trespassing your property. How to manage a large-scale neighbourhood visitor management without compromising on the pleasant welcomes towards the residence’s guests? 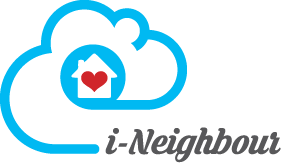 Understanding the process of visitor management, i-Neighbour offers a series of comprehensive features, supported by the leading edge cloud technology, making the system accessible online by all involved including administrators, owners, tenants, visitors and security vendors. This holistic visitor management system provides the neighbourhood’s administrator a tool to manage the property, and obtaining more information about the people living in the neighbourhood voluntarily and the tenants can use the app to not only invite visitors but also to get to know the neighbourhood a little bit better. No matter when and who come to visit, pre-register or on the spot registration, manage them easily. Join and simply set up the system with a user-intuitive interface. Whitelisted and blacklisted visitors, statistic report, trace and track visitors effortlessly. i-Neighbour lets the tenants to invite their visitors at anytime and the visitors can request to visit the tenants through this simple application. Vetting of the visitors by the tenants leave the responsibility of bringing good visitors in their hands. This process of visitor pre-registration improves the visitation system, making it easy for good visitors to enter a neighbourhood without having to re-enter the information and taking more time than necessary. By having a systematic process, visitors who violate the rules and regulations of a neighbourhood can be moved to blacklist section and tenants can be warned about it, leaving the neighbourhood with a clean list at all times. By having a transparent and online visitor management system like i-Neighbour, all parties can feel secure knowing that the first level of security threat has been taken care of. i-Neighbour comes with a user-friendly interface, in both PC and Mobile App (Android and iOS devices) that eases data recording process for a pleasant visitation. As for the administrators the system simplifies data management, auditing and other documentation efforts all-together. Residential committees, developers or property management companies, you are welcomed to join us at http://www.i-neighbour.com/join. Look after multiple neighborhoods easily and systematically with i-Neighbour by registering as partners with us. i-Neighbour will be officially launched in June 2016, so do look out for it and stay tuned with us. In the meantime to find out more about how i-Neighbour can be a huge assistance to manage visitors in your neighborhood, you may drop by http://www.i-neighbour.com/ or just register for a 3 months FREE trial at http://www.i-neighbour.com/join.php and get a hands on experience of what i-Neighbour has to offer.